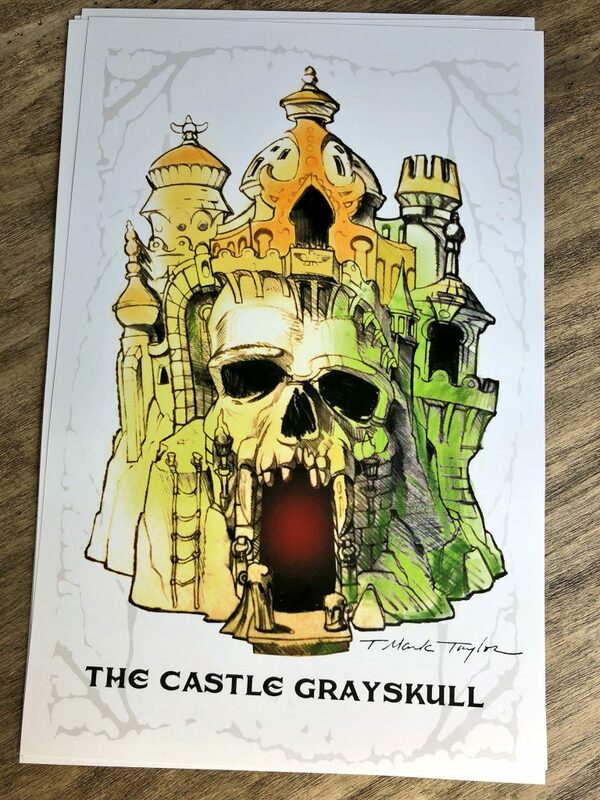 As always great post!! 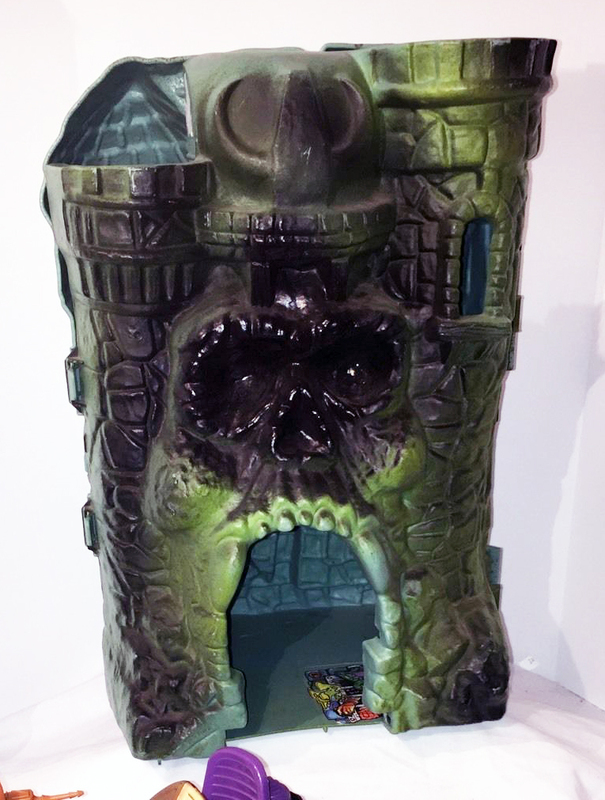 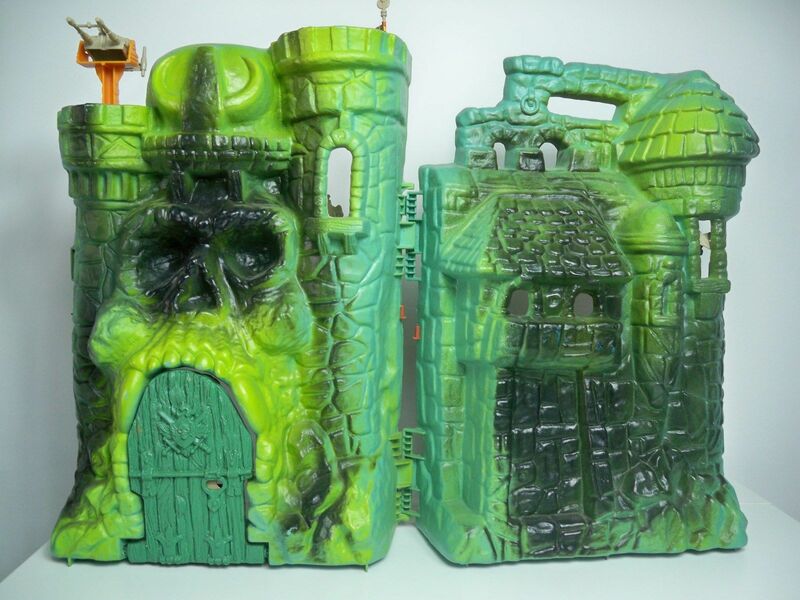 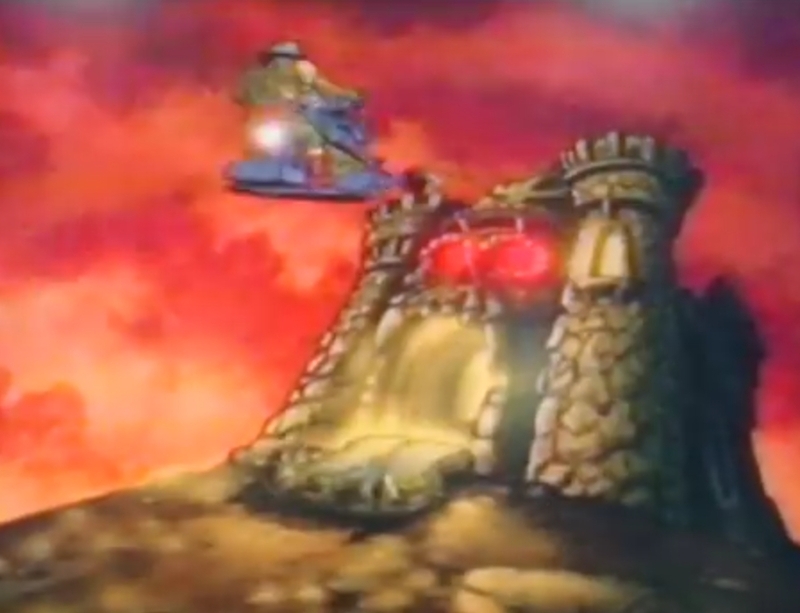 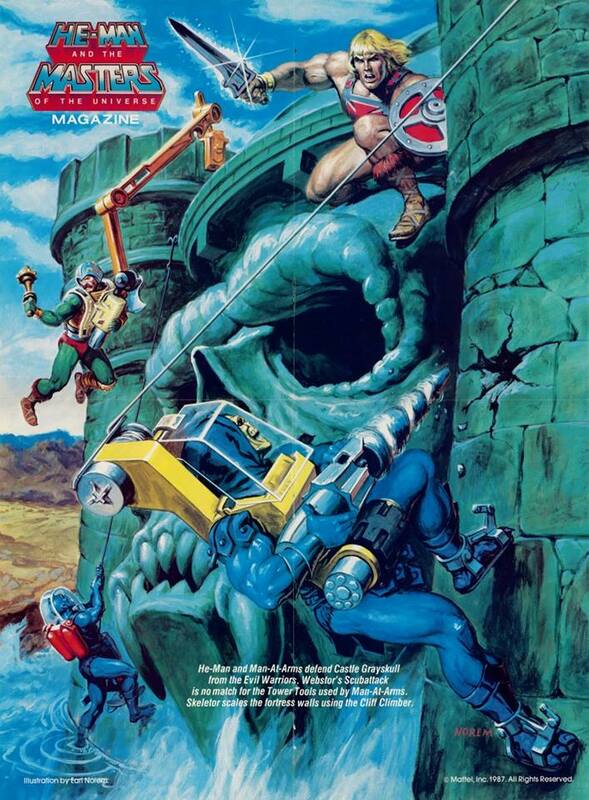 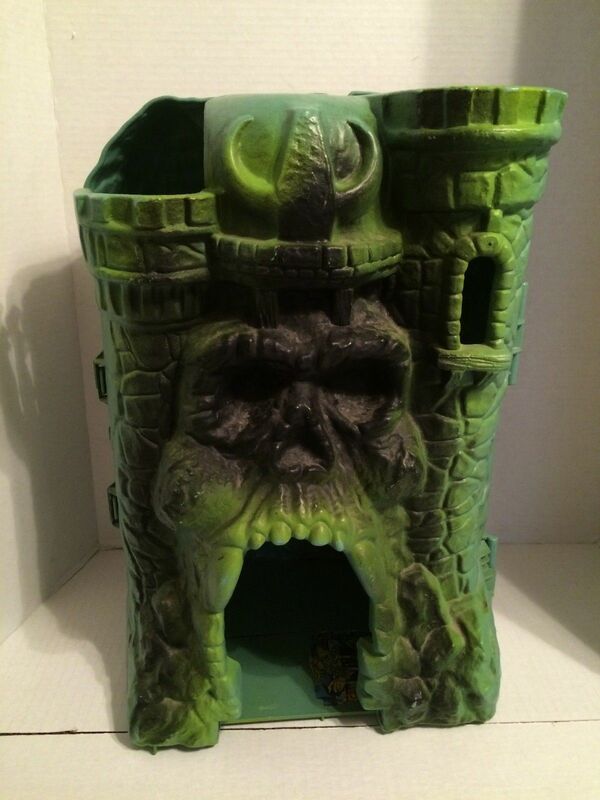 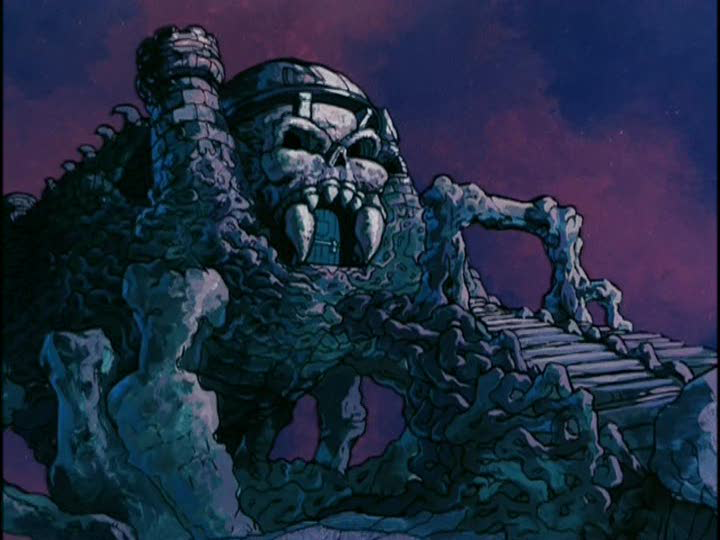 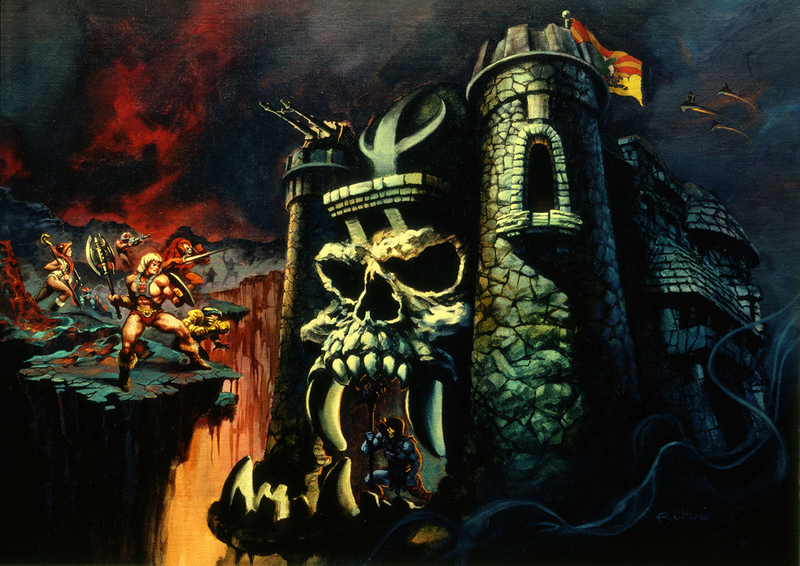 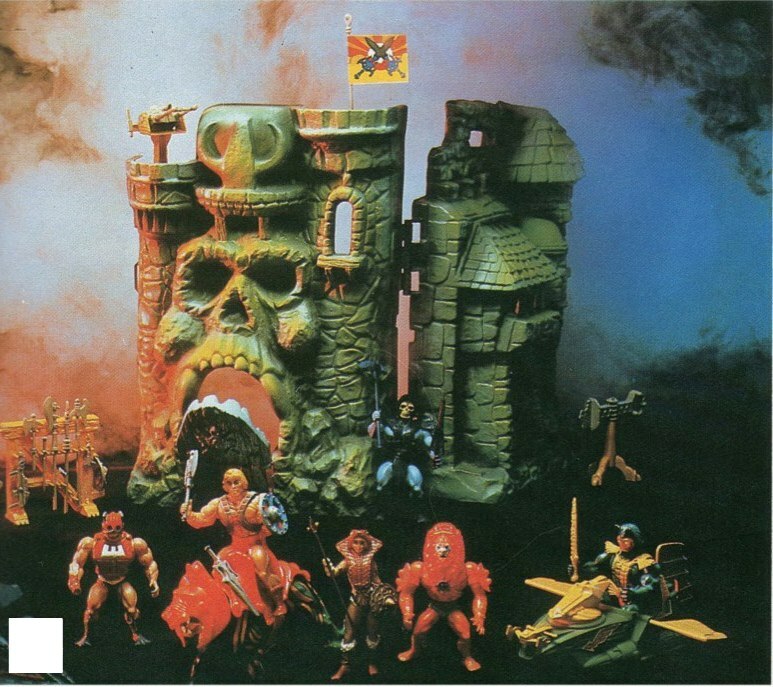 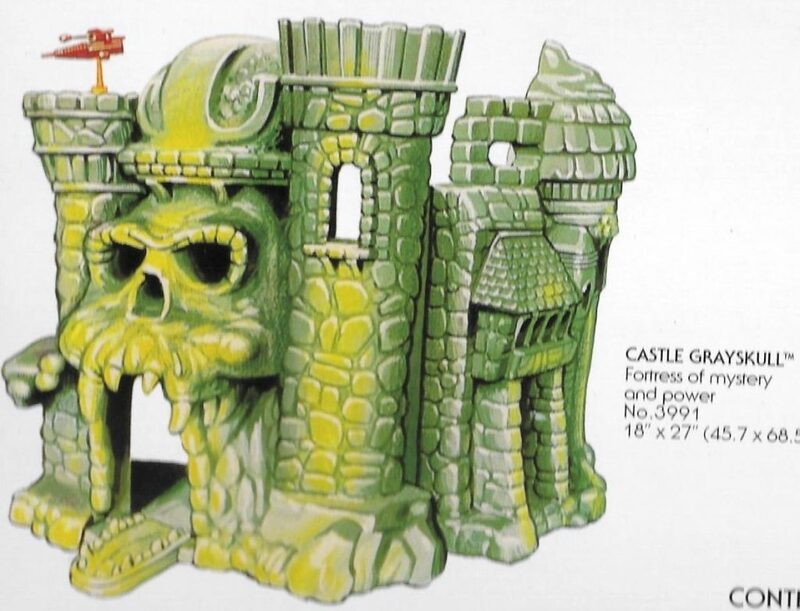 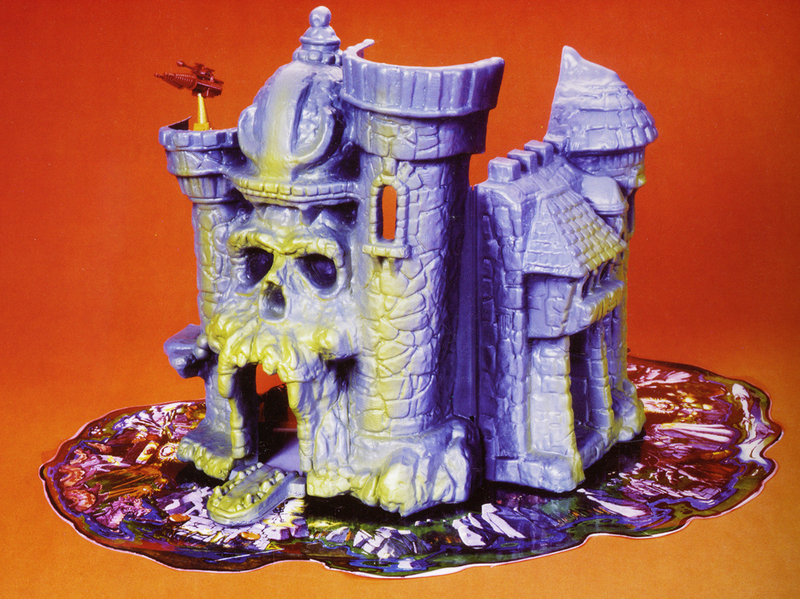 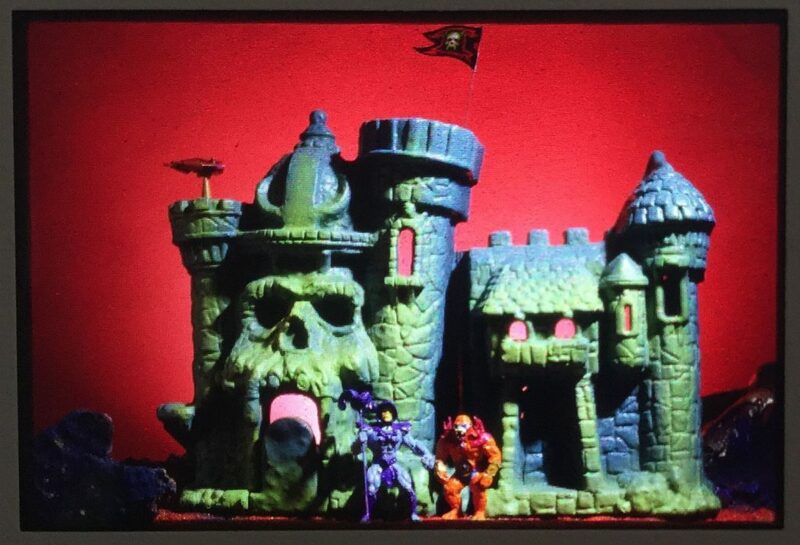 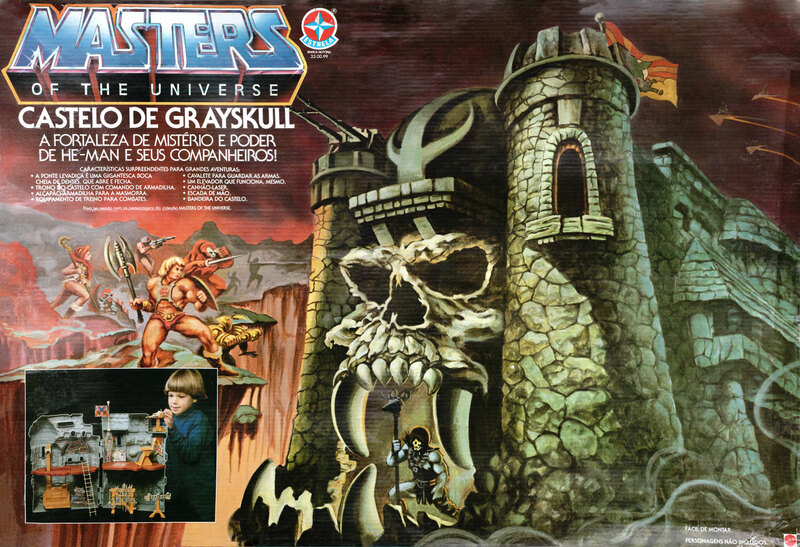 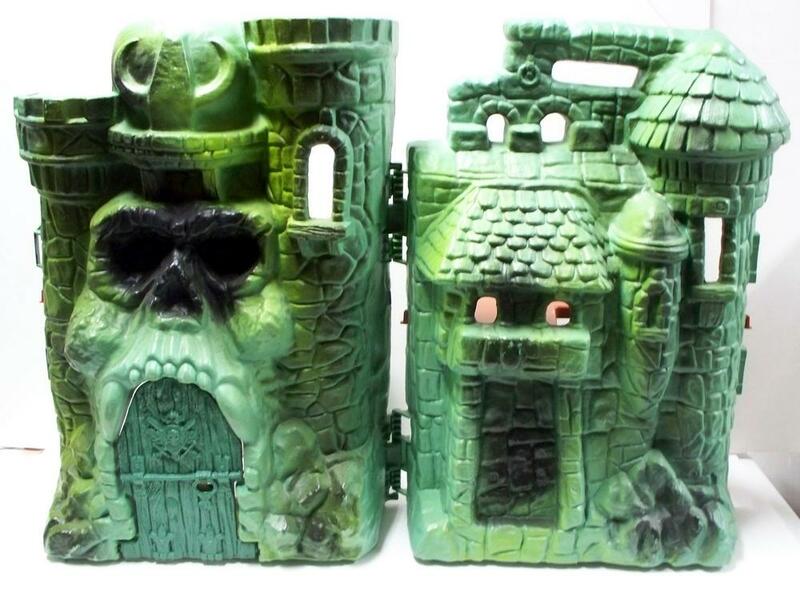 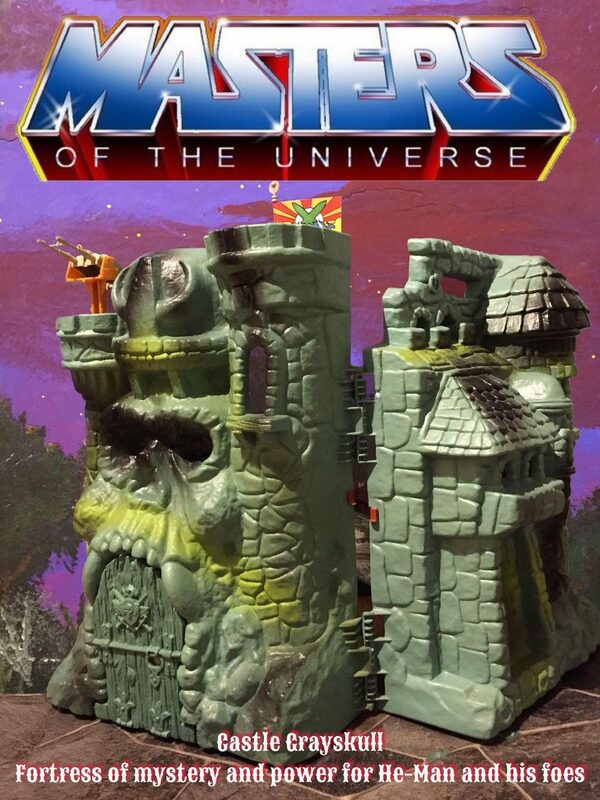 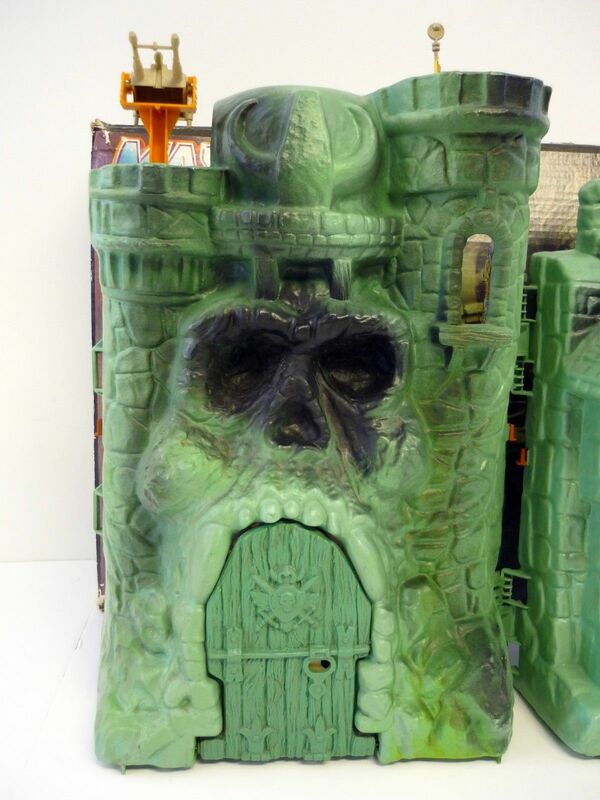 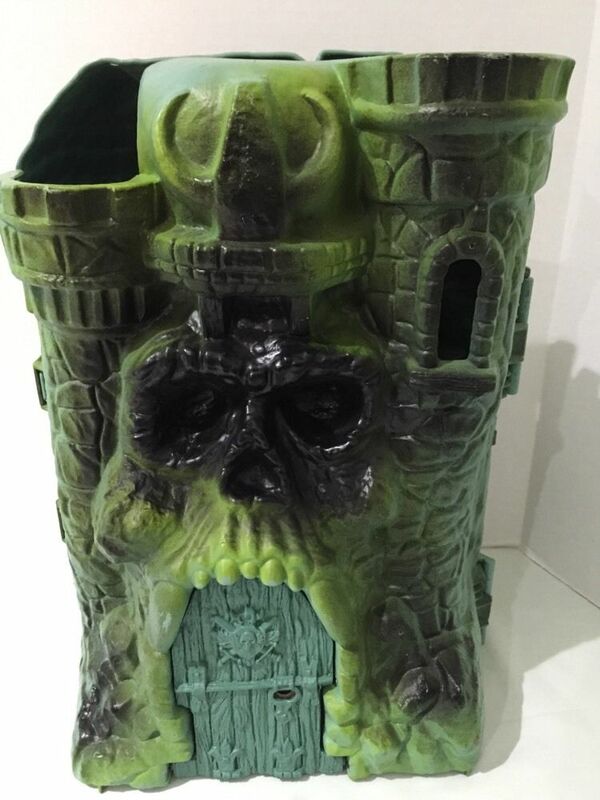 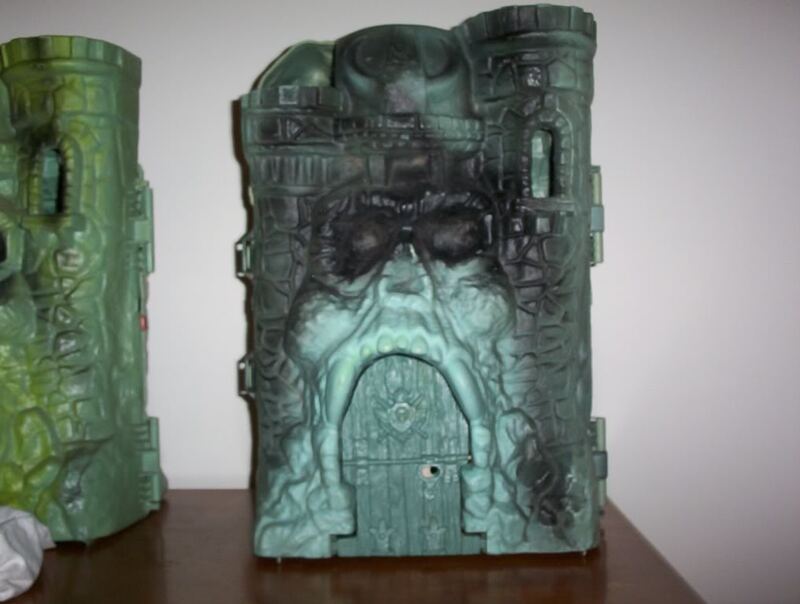 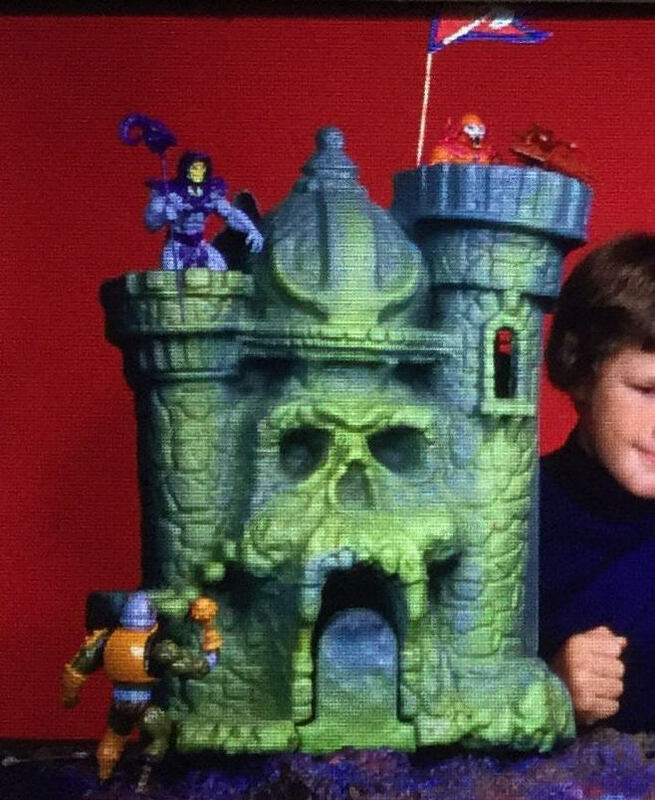 I particularly enjoyed the filmation image with the creature holding up castle grayskull, although myself prefer the abyss version… Oh, and there’s another iconic playset I can think of; Blackstar Ice Castle!! 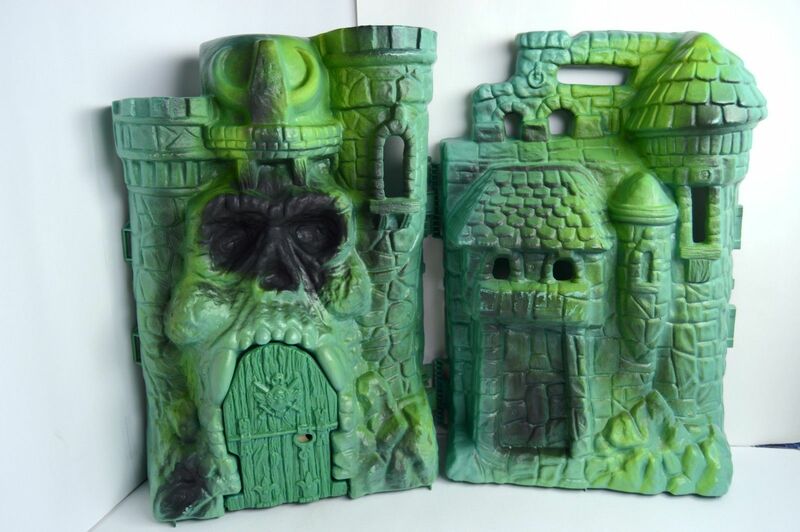 There are a couple of versions of the front door. 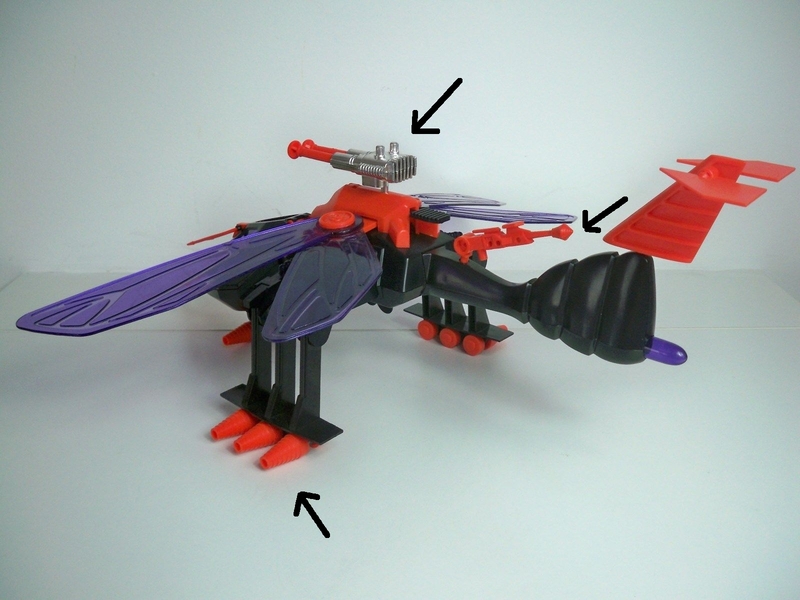 one with long pegs, one with short. 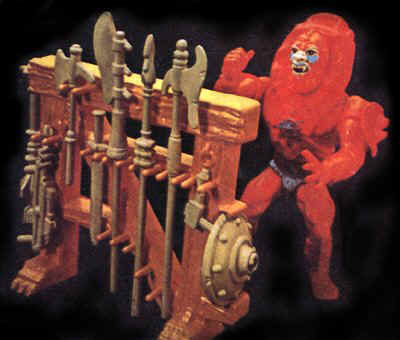 I just restored the long peg version (which is less common). 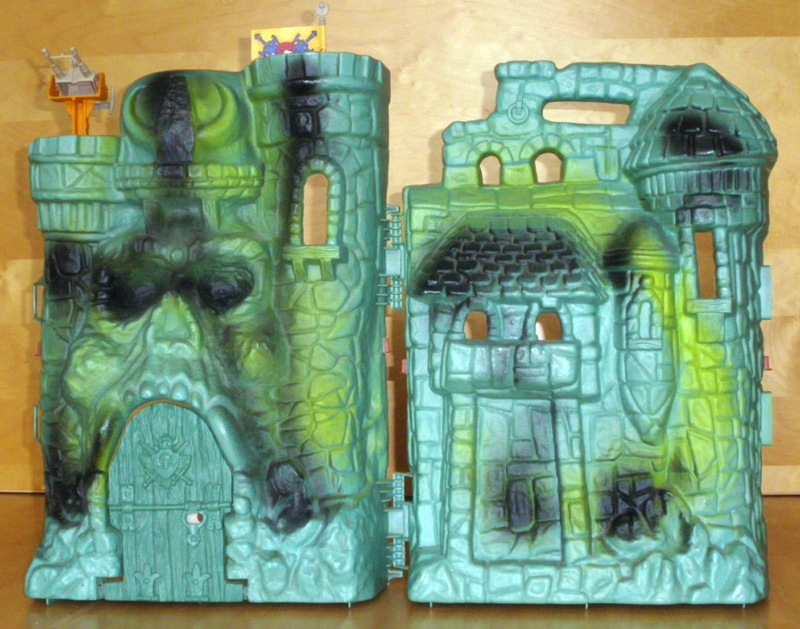 You have to make sure you get the correct door for the main castle section as they don’t all fit the same. 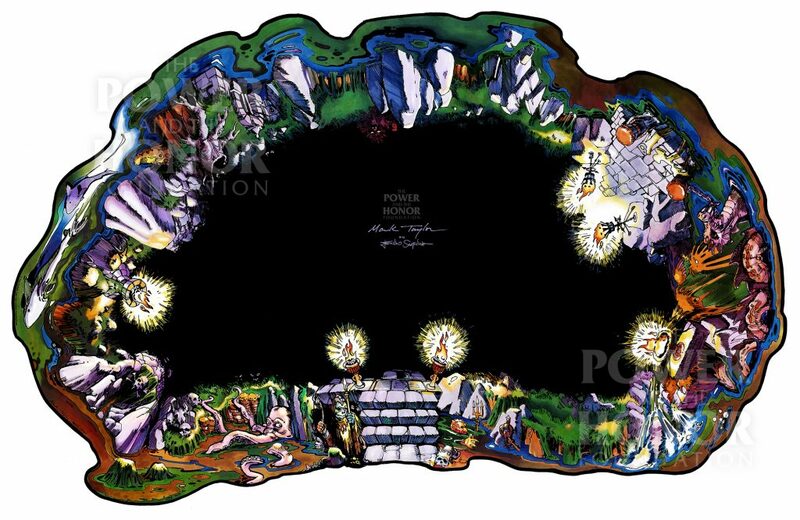 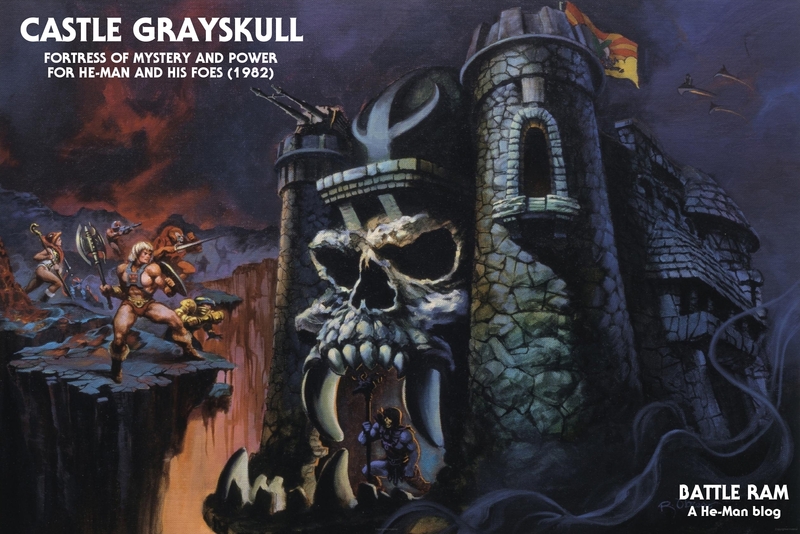 When I think about Greyskull, is that memory with all the sense of wonder associated with it that always appear in my mind. 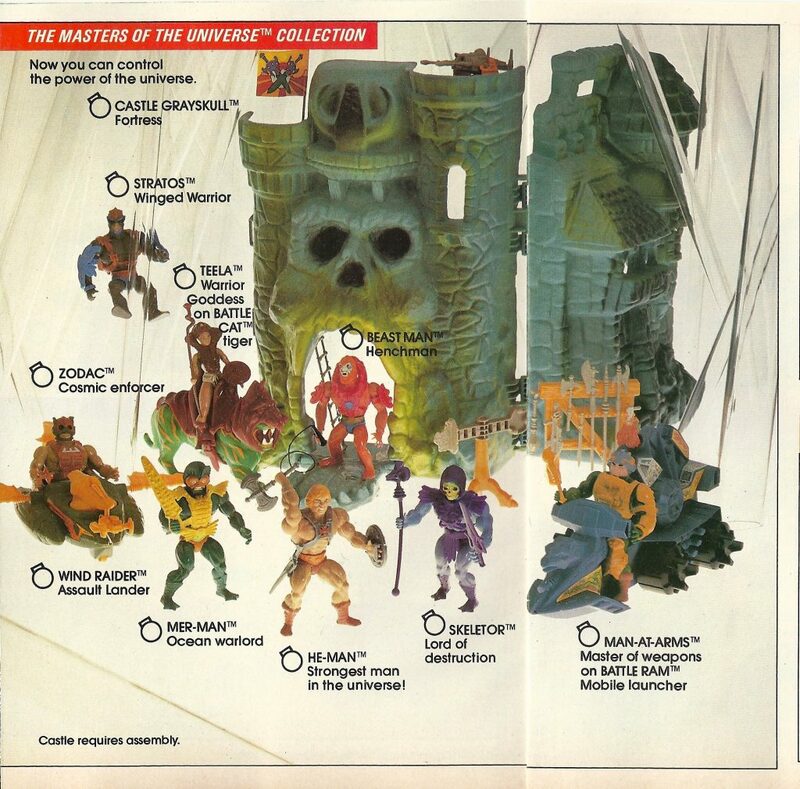 It’s just so cool when someone else can get their excitement about something across so well via blog post. 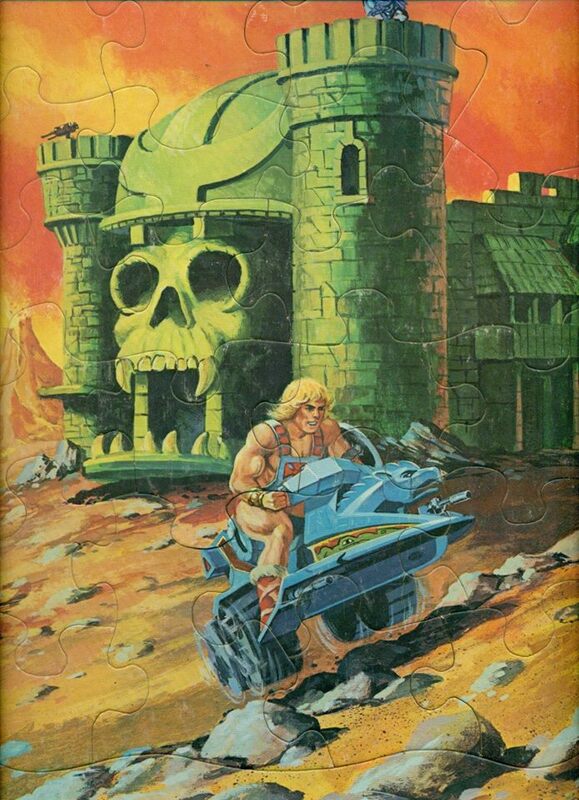 I learned quite a few things too. 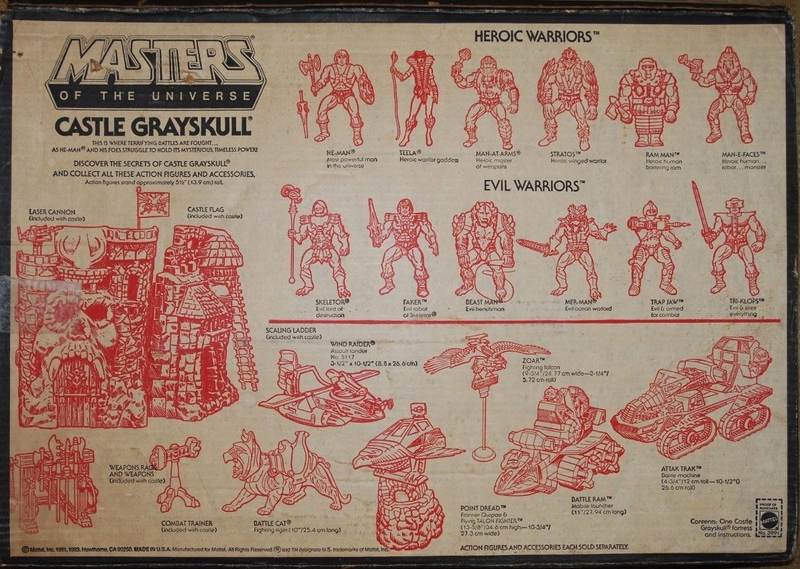 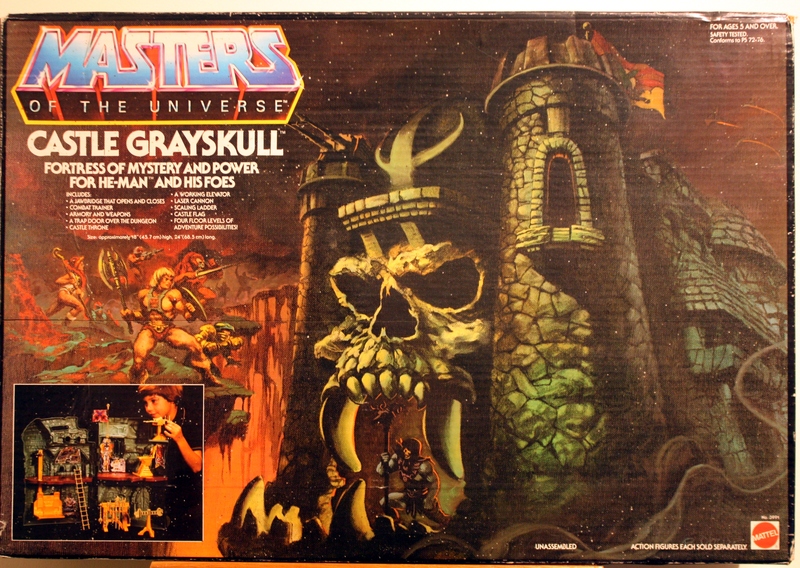 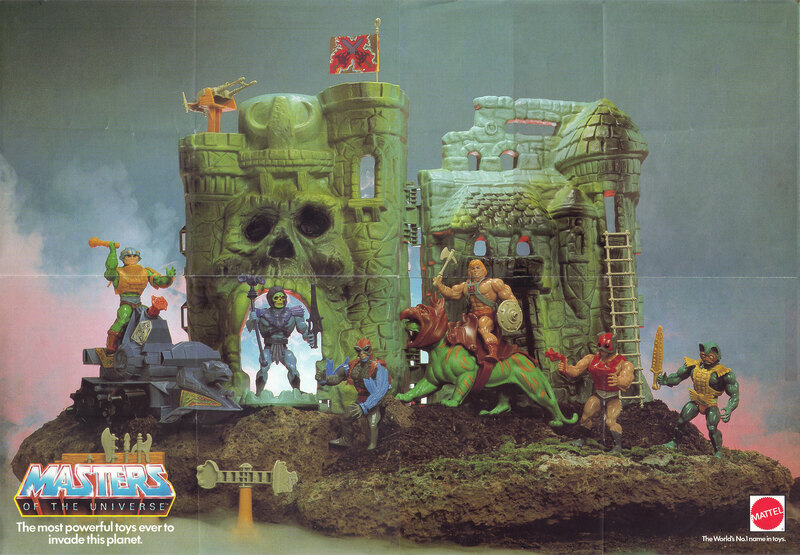 As a fan of all the top 80s toy lines, I still have to say Grayskull is on top. 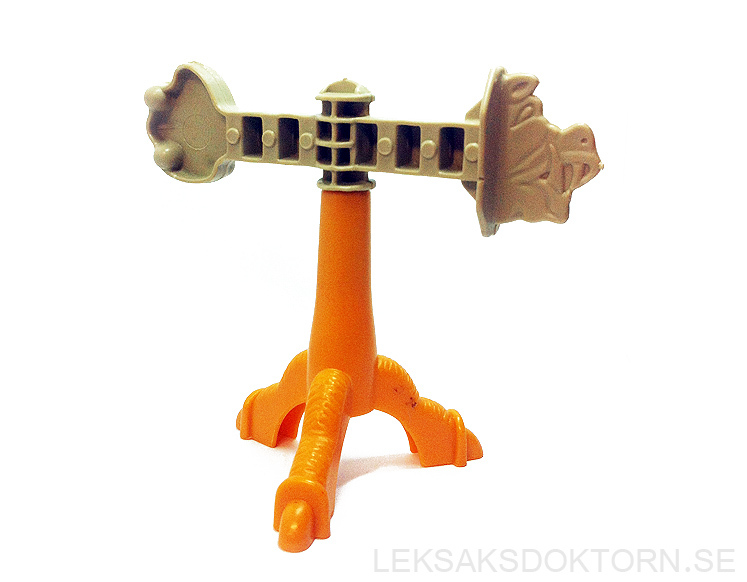 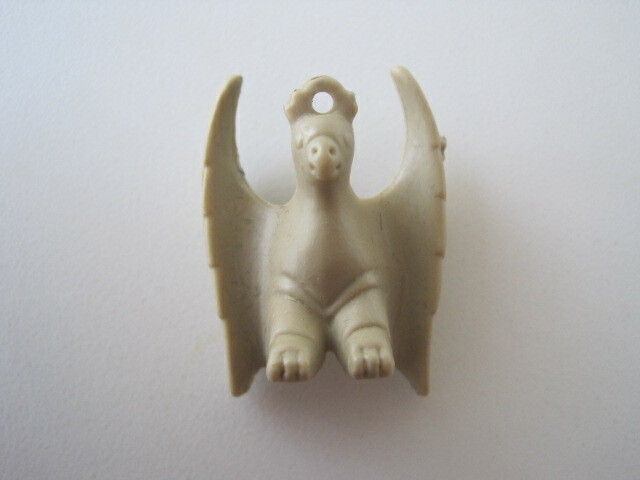 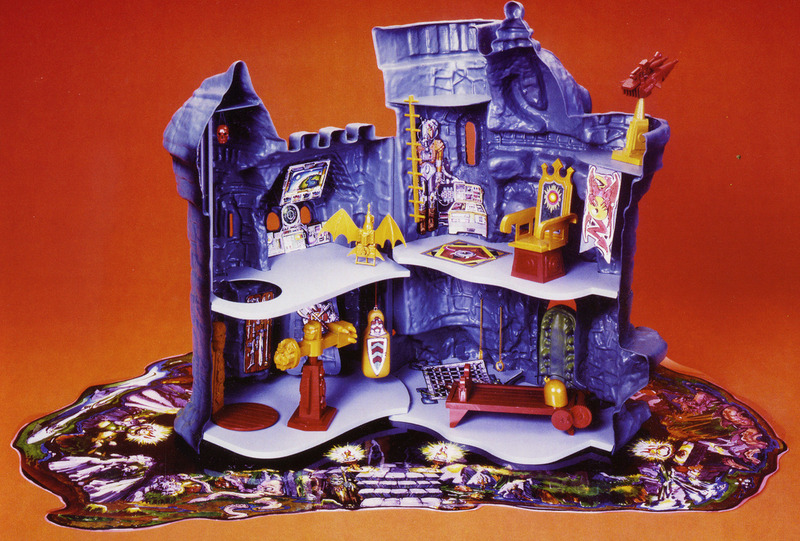 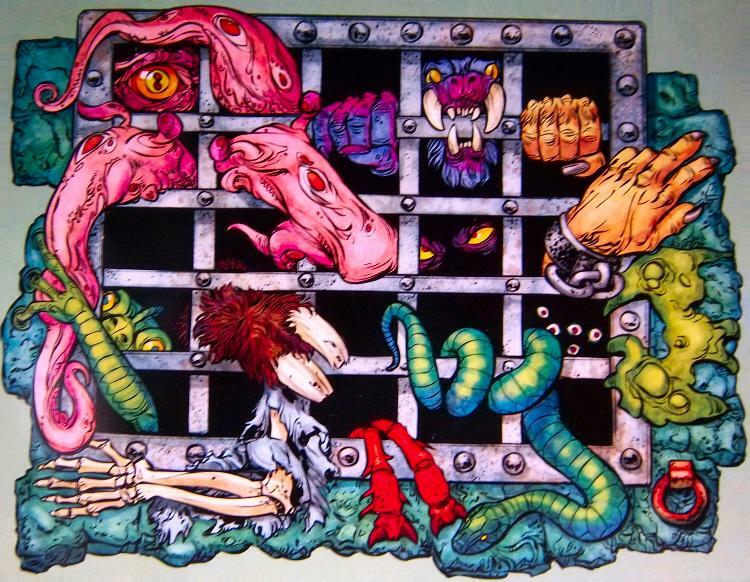 None were as popular and none were as centred around a single playset as this one. 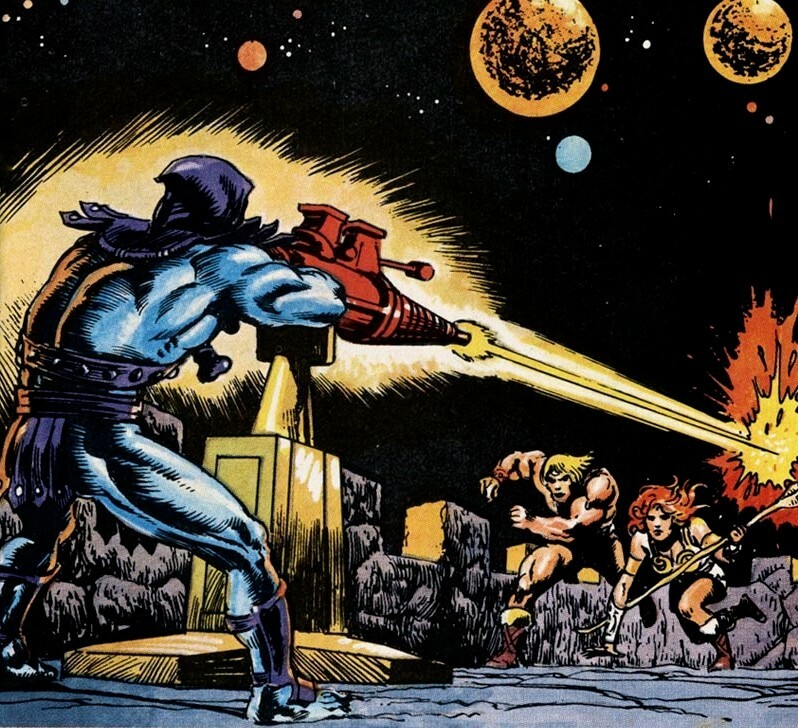 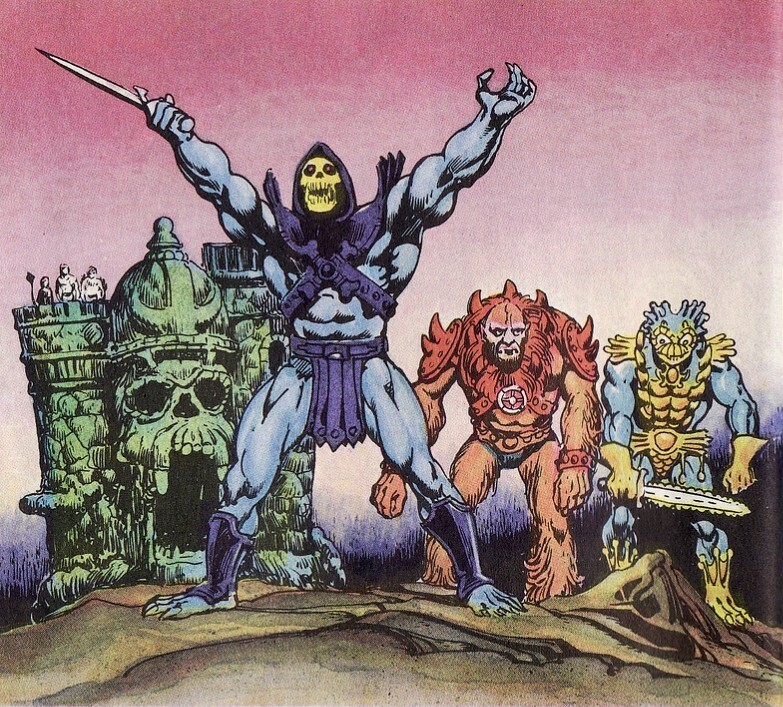 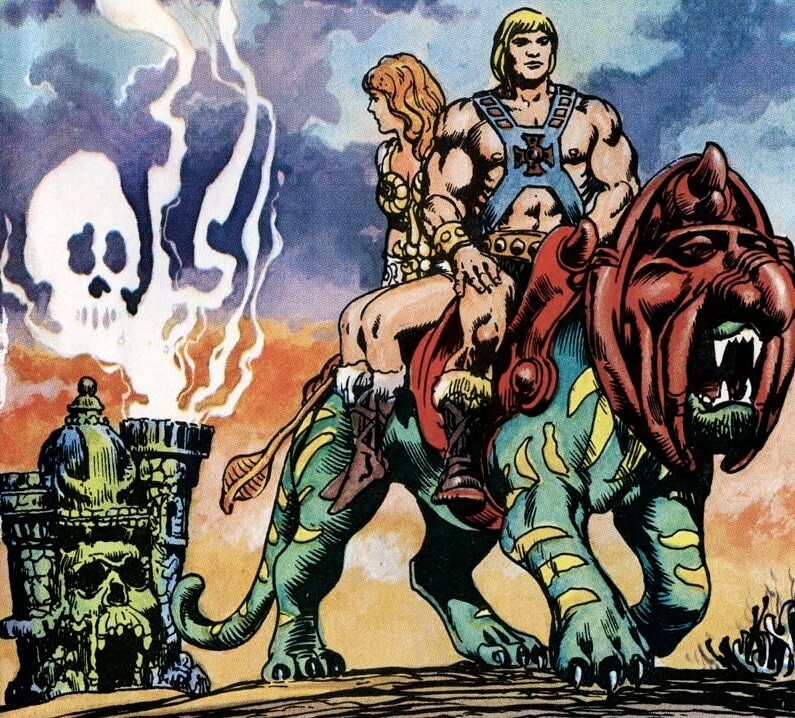 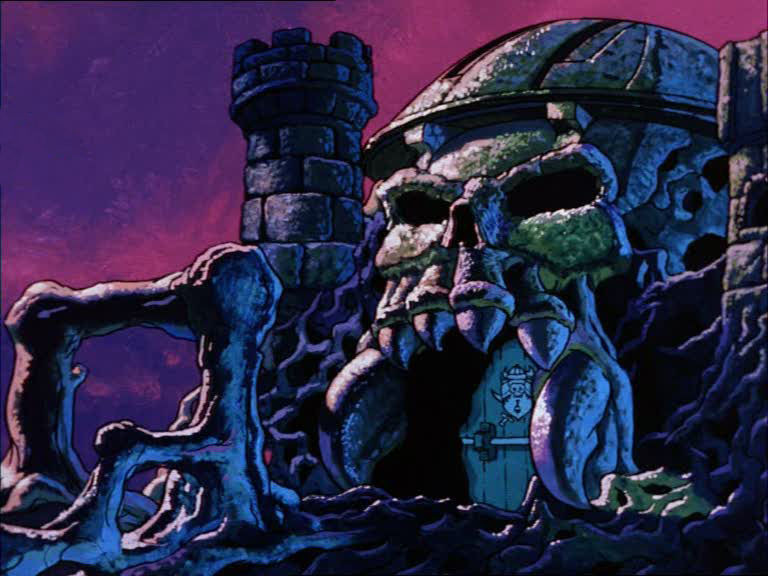 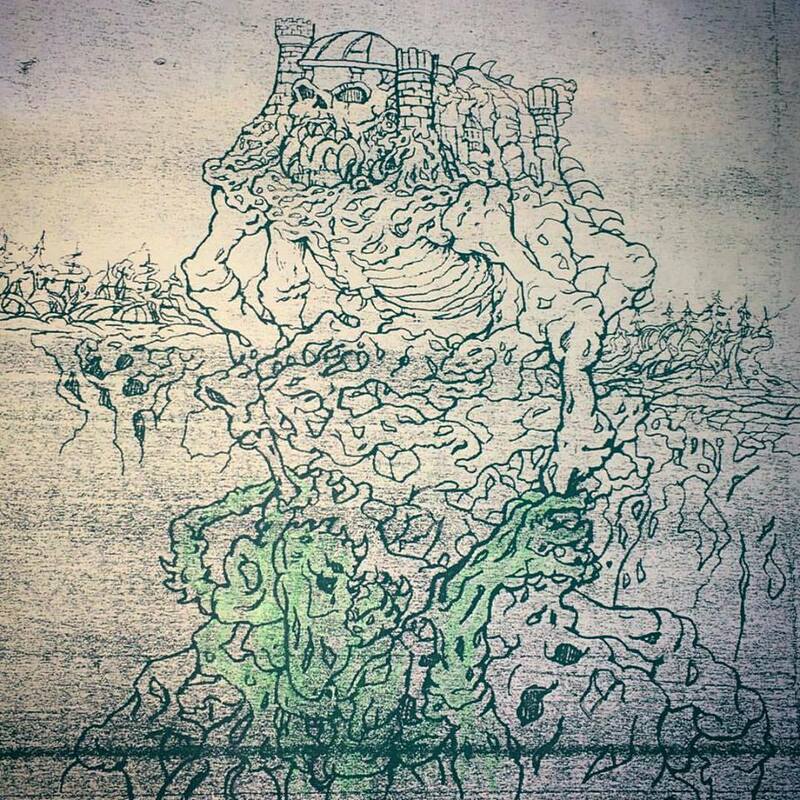 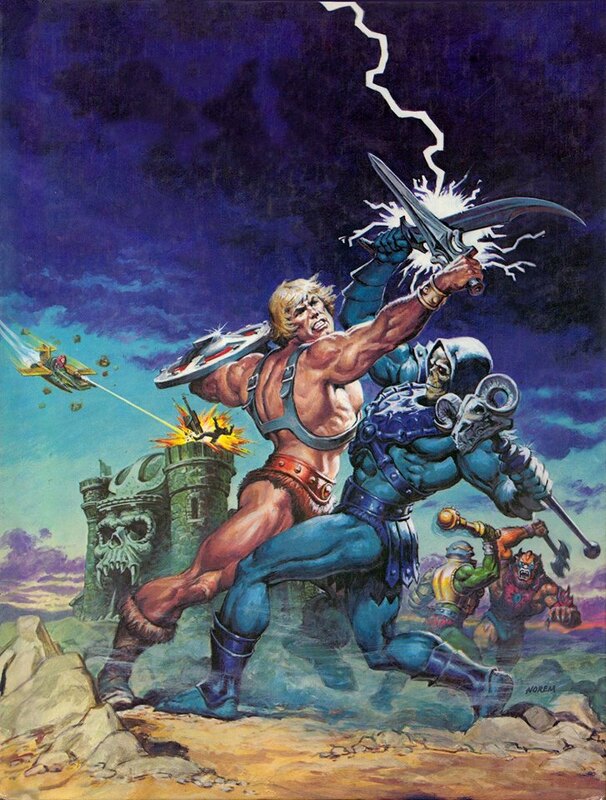 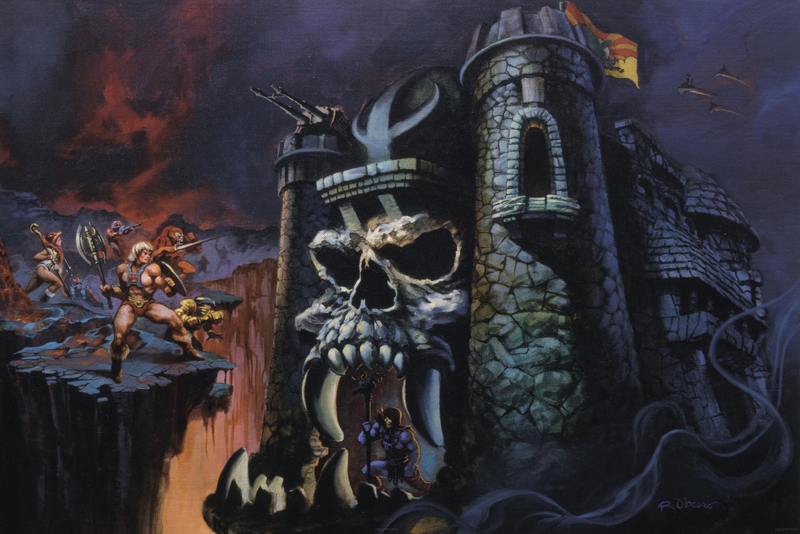 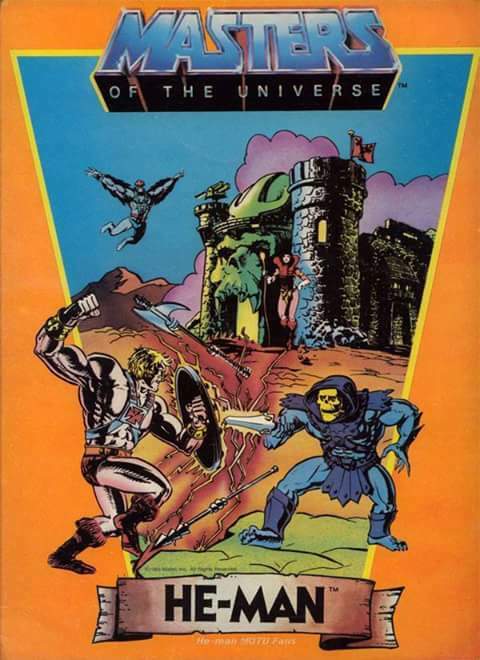 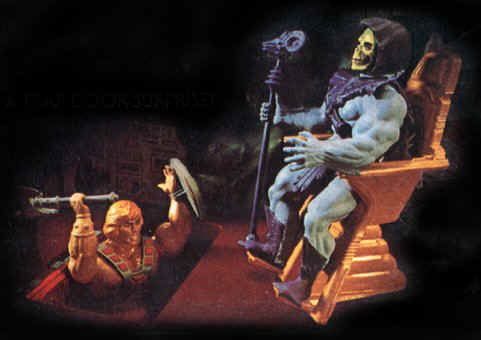 Grayskull was just as much a main character as He-Man or Skeletor, it powered He-Man, Skeletor was obsessed with it, you saw it in everything, everywhere. 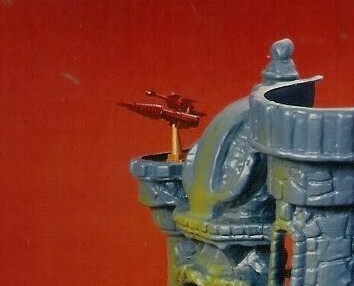 Apologies if I’ve posted this one before – but are there any known variants of the flooring of the upper left turret and the slots that hold the laser cannon? 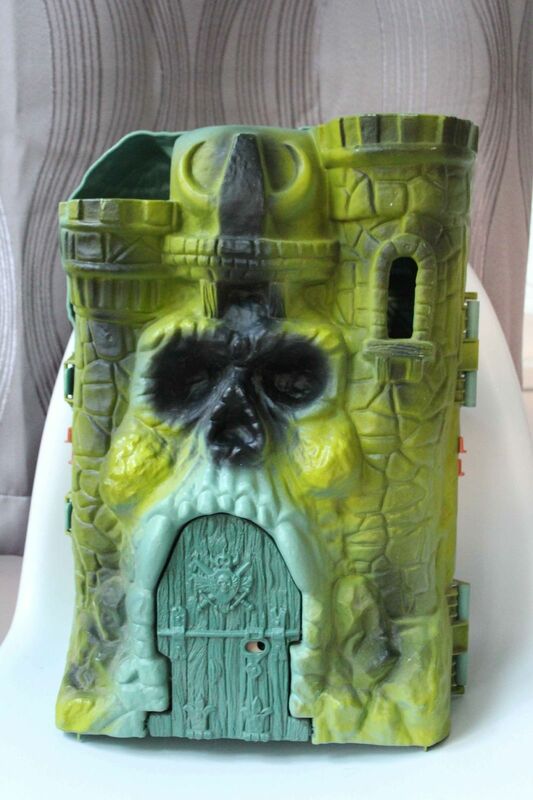 Because I’m 99.9% a childhood friend who lived a few doors away from us had one. 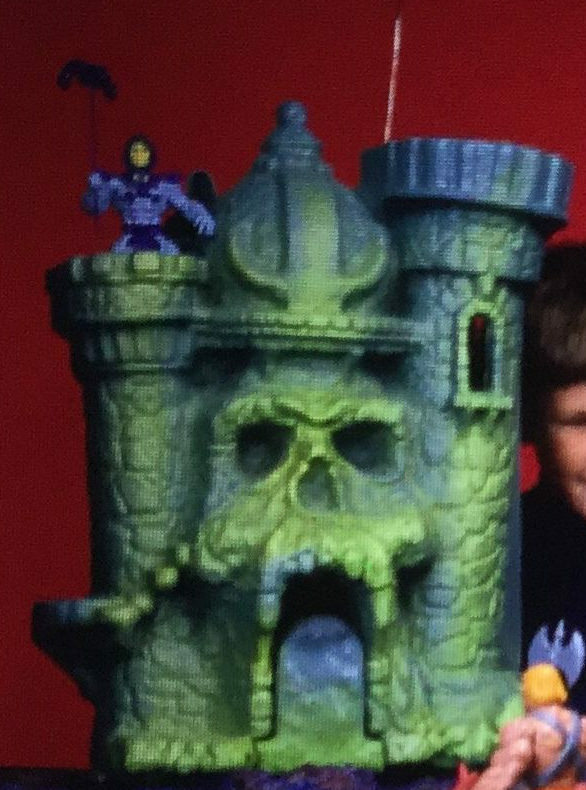 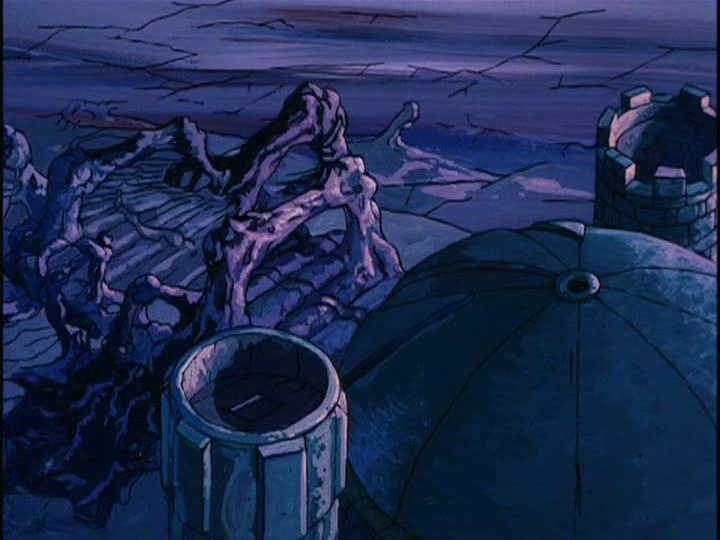 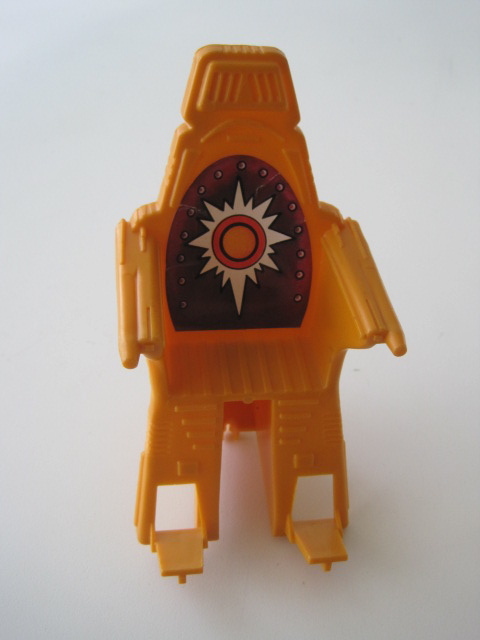 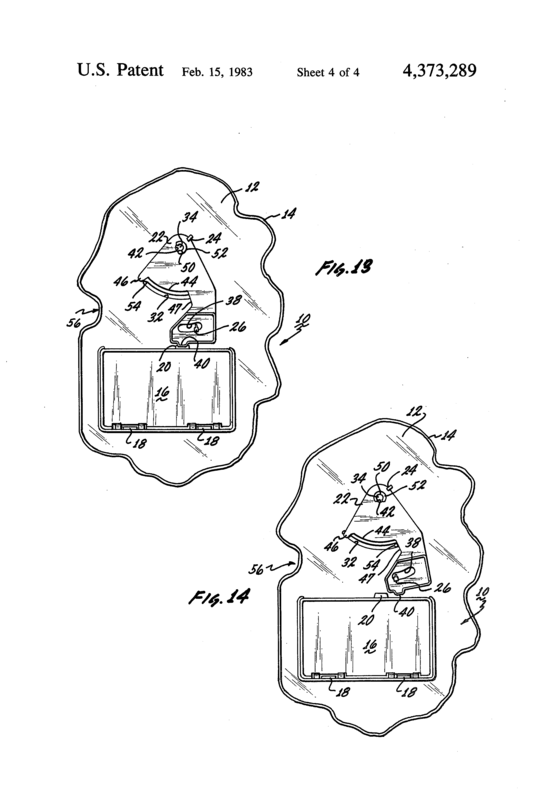 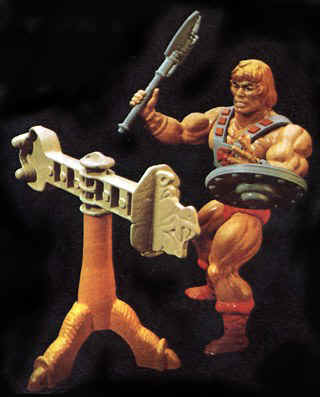 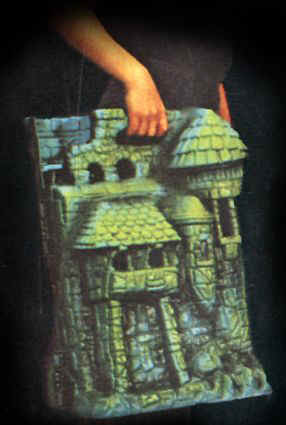 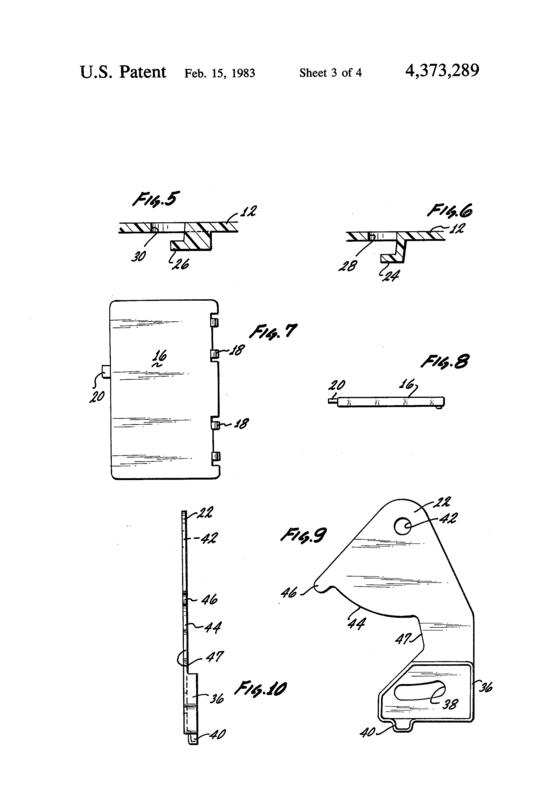 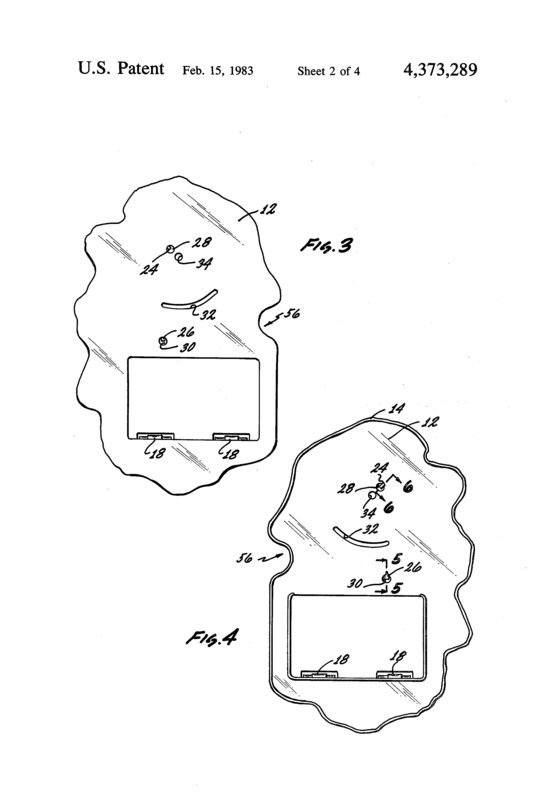 I remember several times playing with his He-Man toys in his house and noticing that the turret floor was flat, with no grooves to mount the cannon (it simply rested on top). 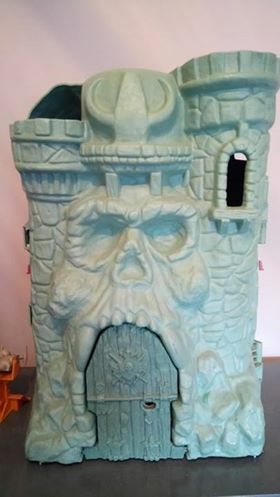 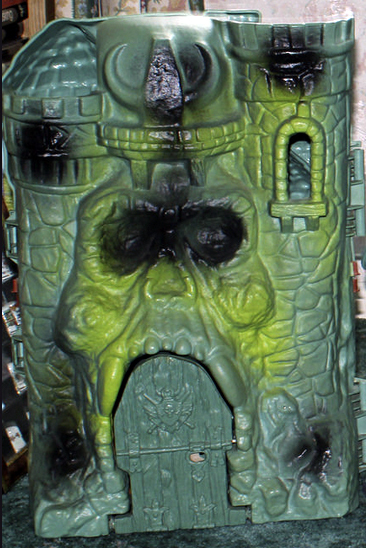 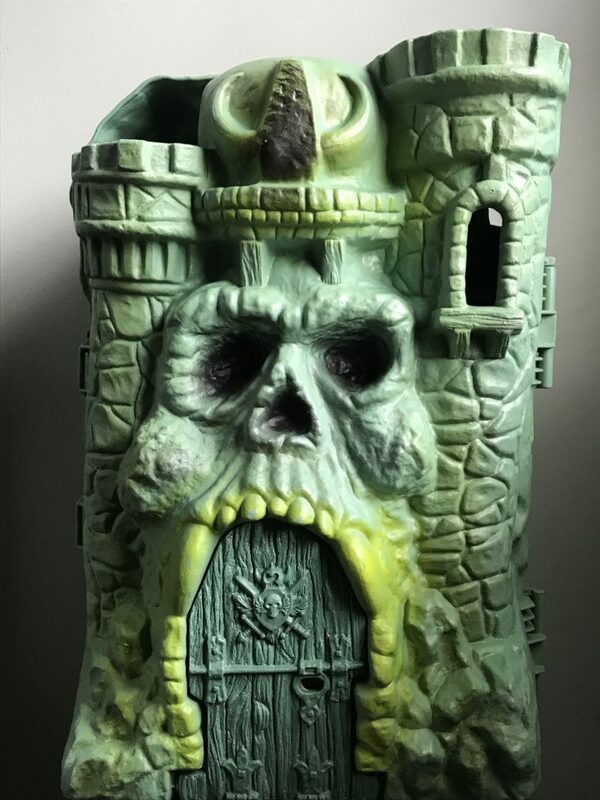 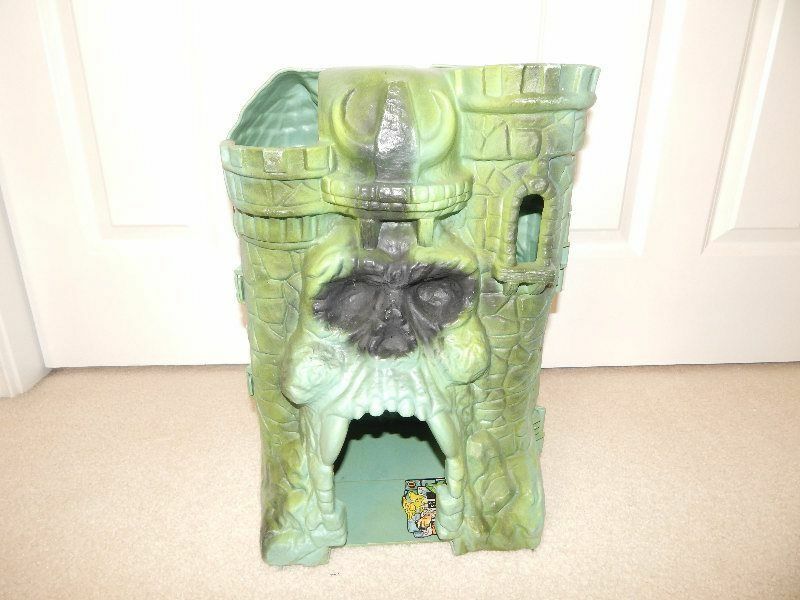 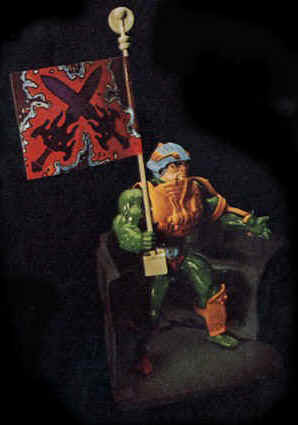 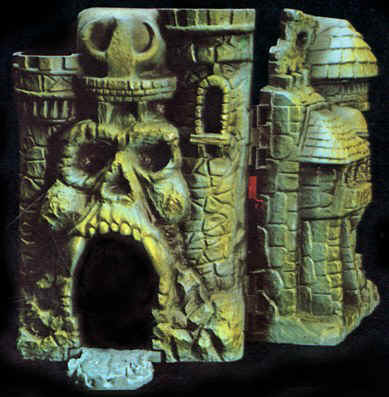 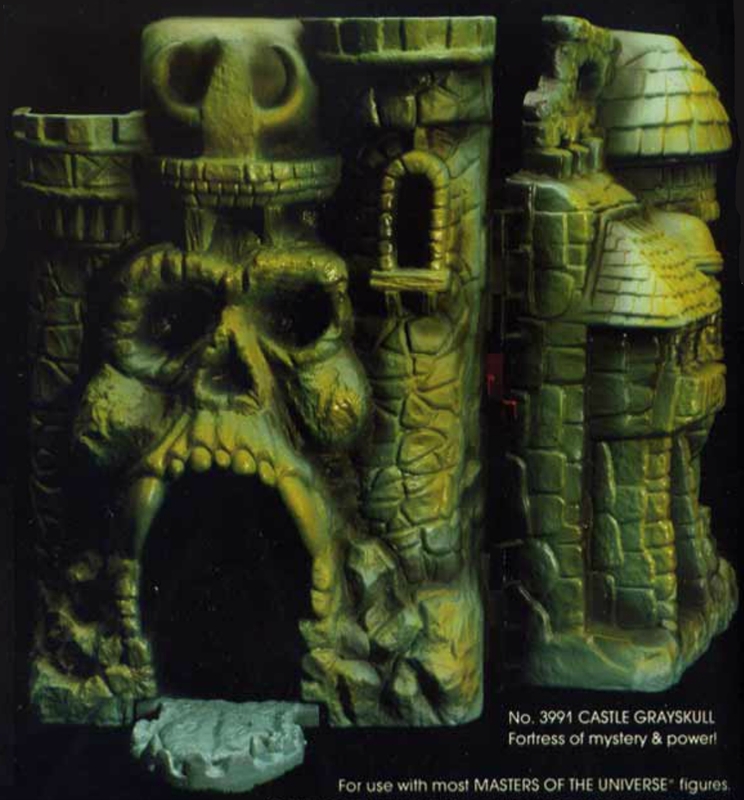 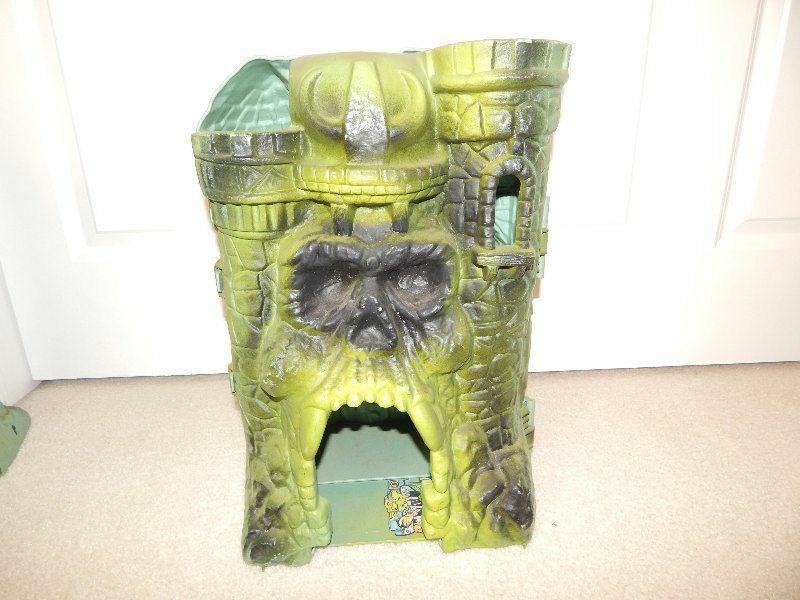 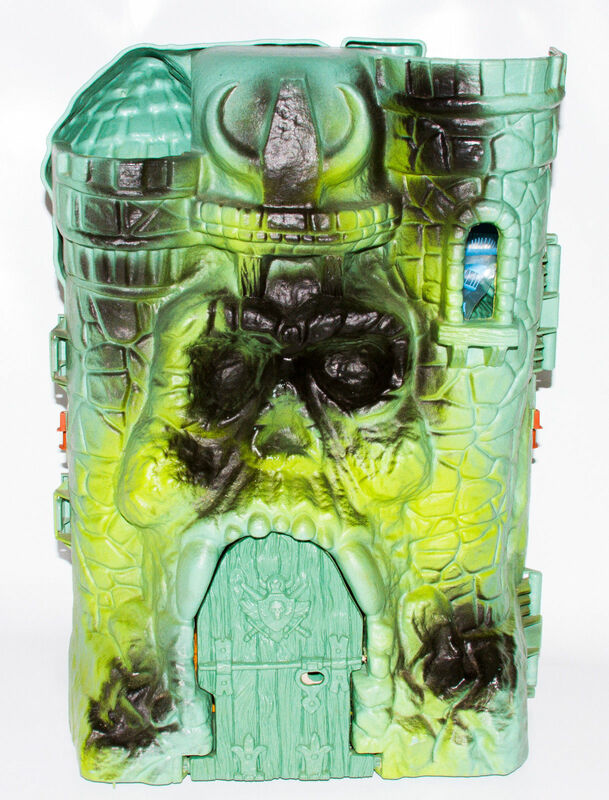 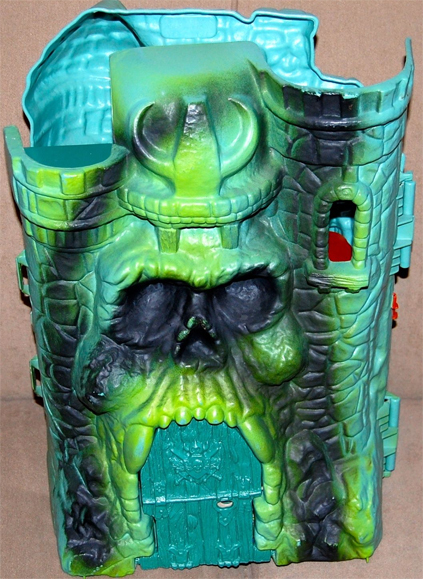 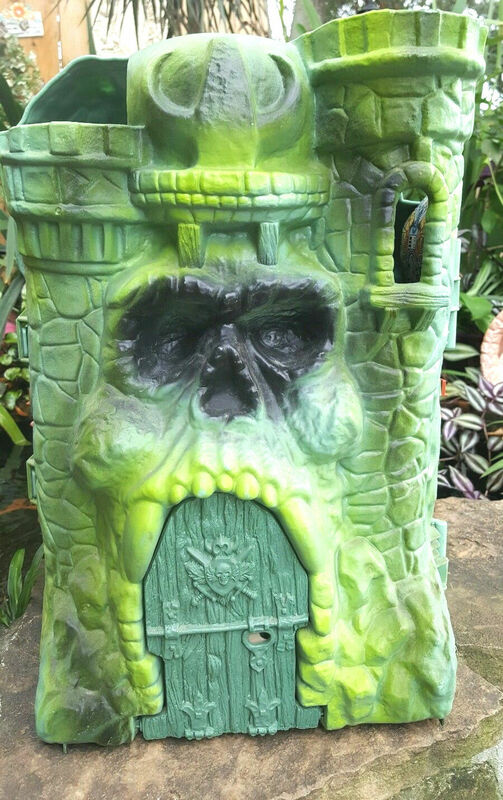 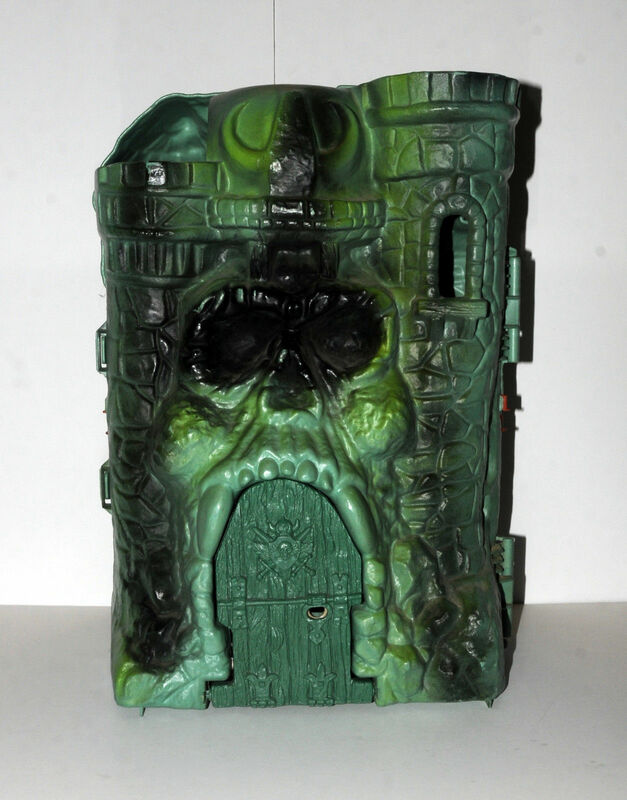 As discussed in this and other blog pages we all know how much the paint jobs could vary on Grayskulls, especially the black spray paint and which I was aware of even as a young 7-ish year old boy (in 1984-ish), but the paint job of this Grayskull also stood out to me – it was more of a flat mid-green base (as opposed to some of the greyer examples) with much neater black detailing – the eyes and mouth were done with more attention and not just randomly sprayed over the top, and the black detailing elsewhere was done far more reserved and with more care. 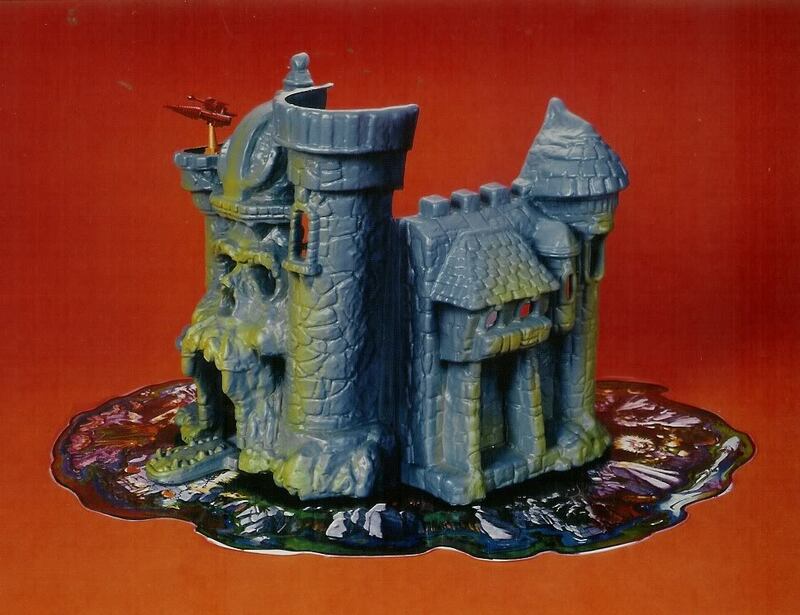 I recall clearly asking him about this, particularly the turret floor, saying “It’s different to mine”. 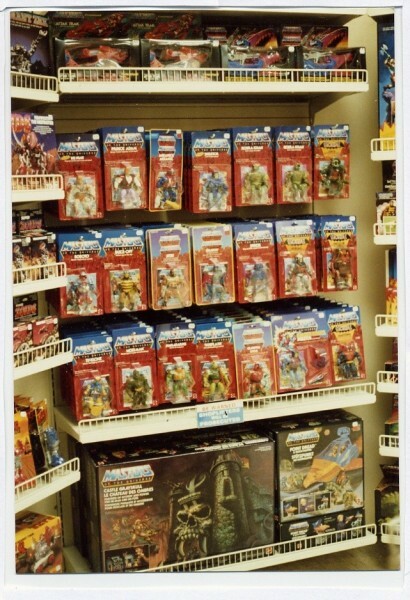 He replied “We got it when we were in America” (I live in the UK). 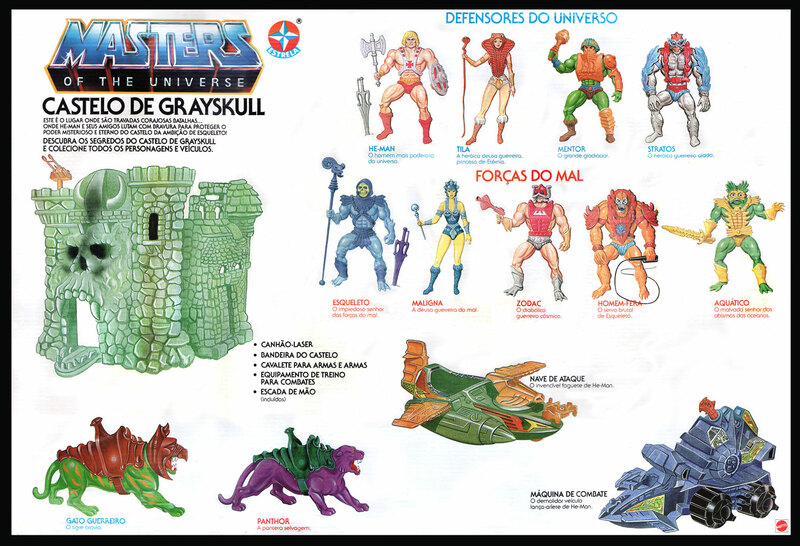 This does tally as his father worked for British Airways and the family spent a lot of time in the States, I’m wondering now if he had an early production run Grayskull (similar to the striped-tail Battle Cat, etc. 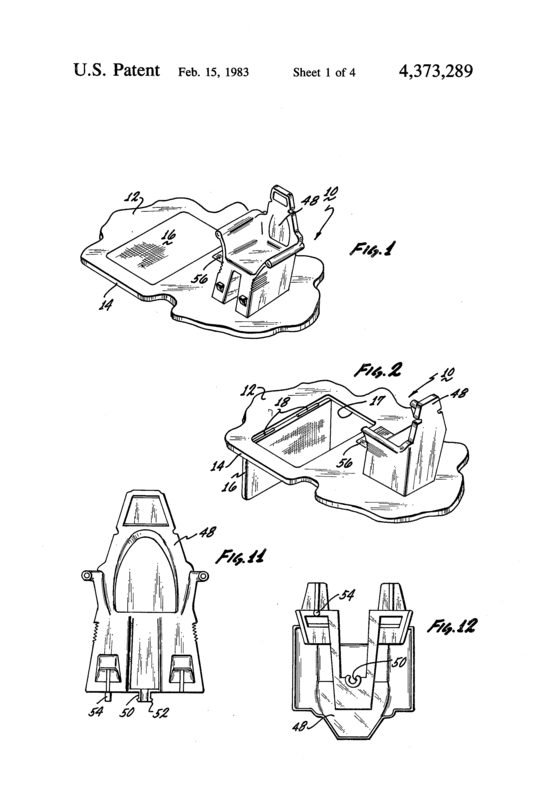 ), which may well explain the ‘flat’ turret floor as well as the much sharper paintwork. 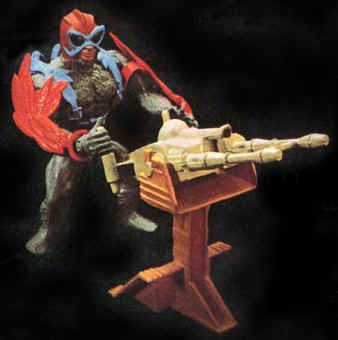 Certainly, the bottom promotional item in this article shows the cannon facing at an angle – which may have just been down to the photographer not attaching it to the floor properly to allow for it’s different angle; but a number of other early publicity shots and illustrations also show the cannon to be at different angles. 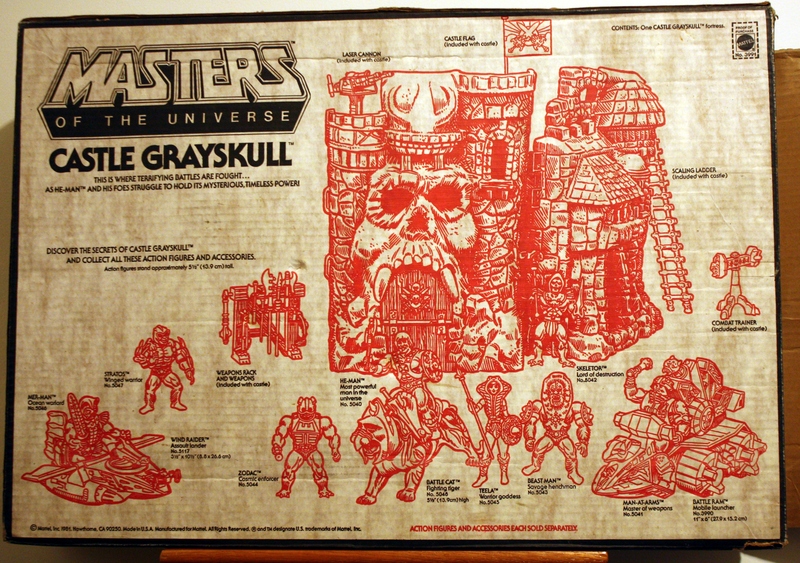 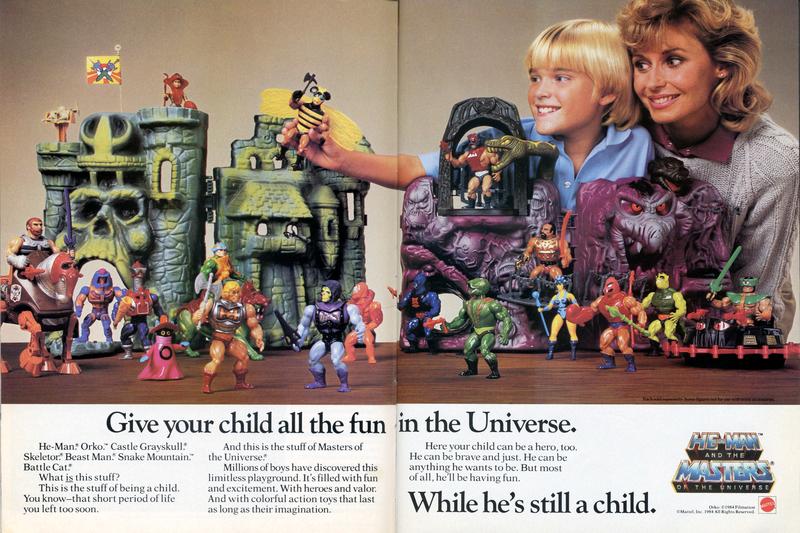 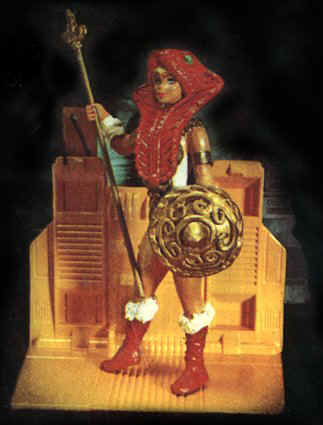 Yet in all my years of vintage MOTU collecting (When I was collecting the entire line I had six Grayskulls at one point!) 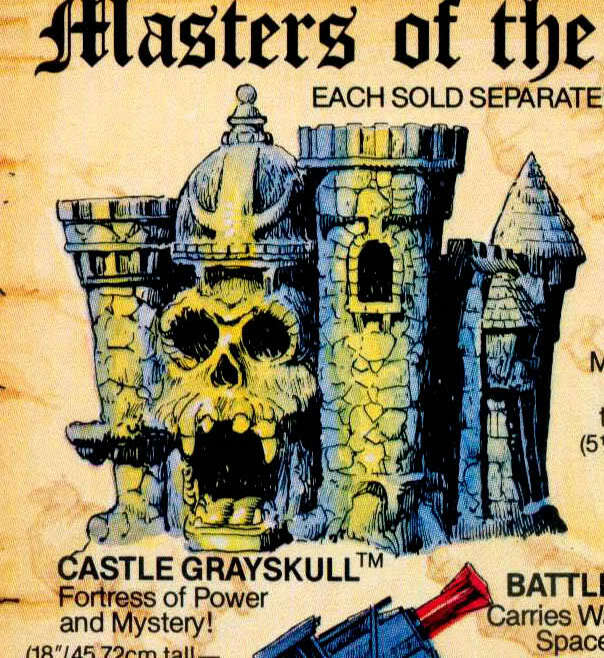 I have never seen or heard mention of this. 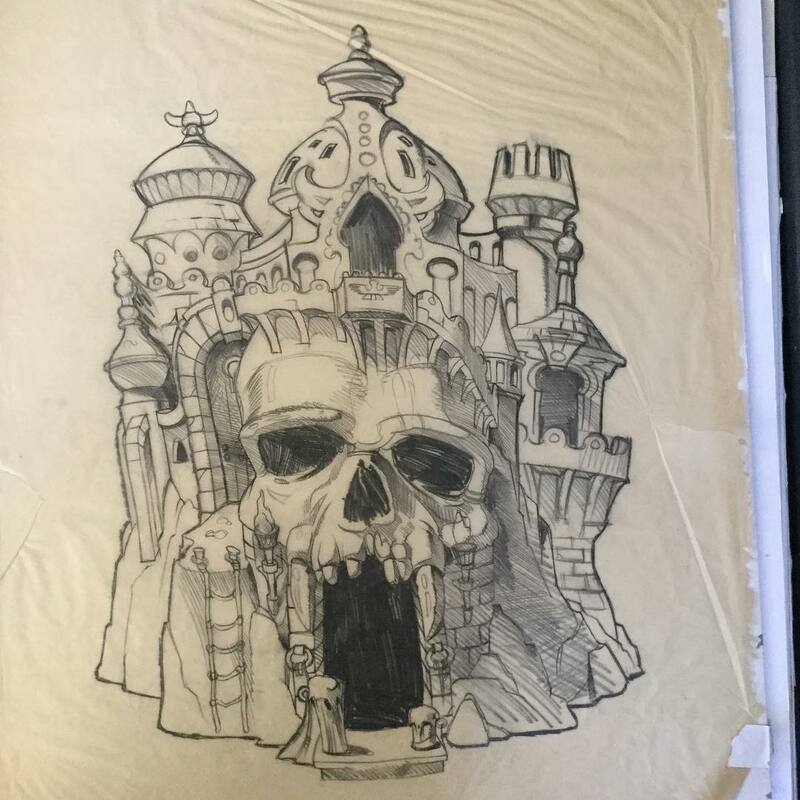 Any thoughts, suggestions, evidence?